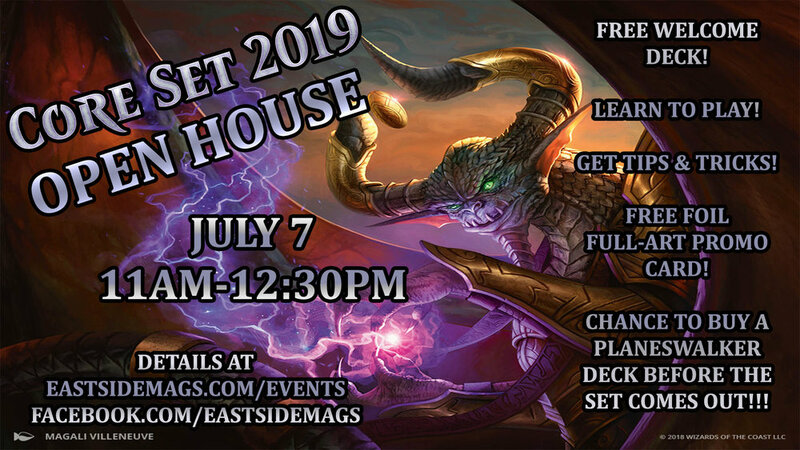 Join us for a FREE event and get introduced to the new Core Set 2019! Come by between 11am and 12:30pm, get a FREE Welcome Deck and learn the mechanics, get tips & tricks and try out Magic the Gathering with our amazing official Judge Matt! You'll also - for the first time EVER - get a chance to buy a Core Set 2019 Planeswalker Deck!